The following page will give you a visual overview of our system`s capabilities, functions and various data analysis. 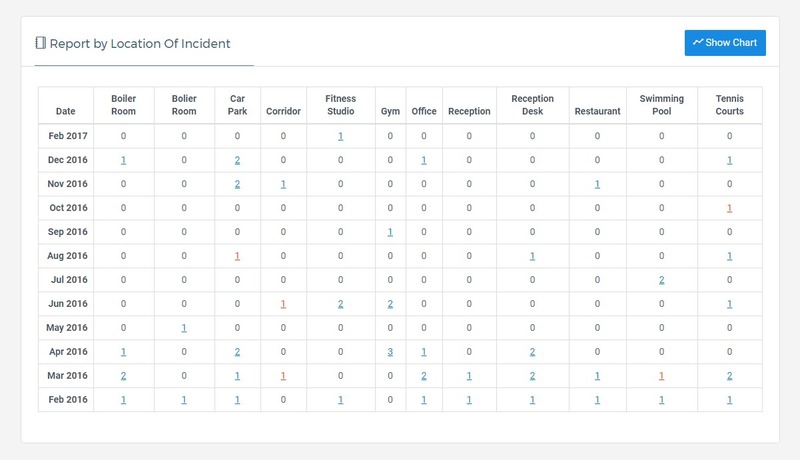 You can view how the data you collect can be put together and systematically evaluated in order to help your business foresee any potential future incidents. 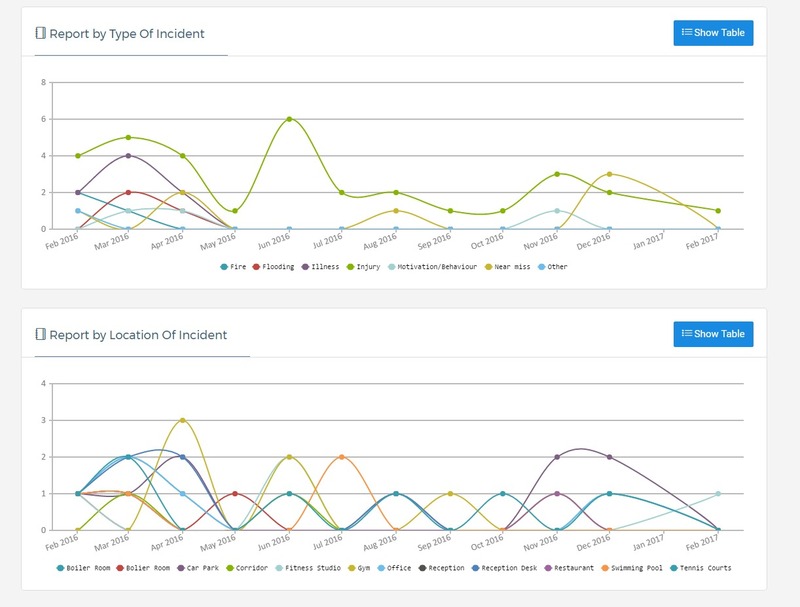 Our system will give you an ability to target and tackle precise points of your operation and supress any incident trends from developing further. We work with our clients and partners on a continuous development of our system in order to keep up with constantly changing environments, technologies and demands. This is proving to be one of the key points in delivering efficient customer service. 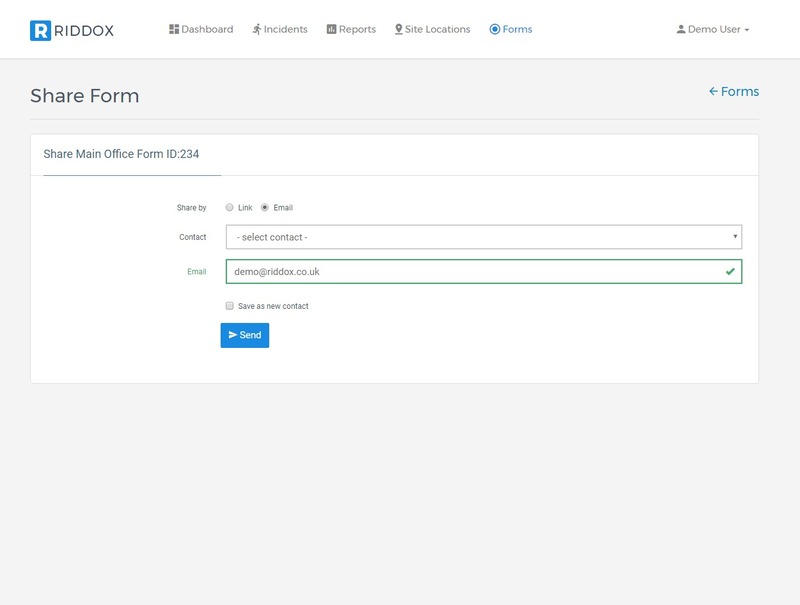 Your Riddox.co.uk landing page is filled with up to date information which appear instantly after logging in. You can also view all the most recent activity across all of your sites. Whether you expand or downsize your operation, you will have a freedom to adjust the number of site locations accordingly to your requirements. Each of the site location`s data can be managed individually. Once the new incident form is generated, this one can be opened in the new window in your browser or e-mailed a designated person who will be able to fill the form out. 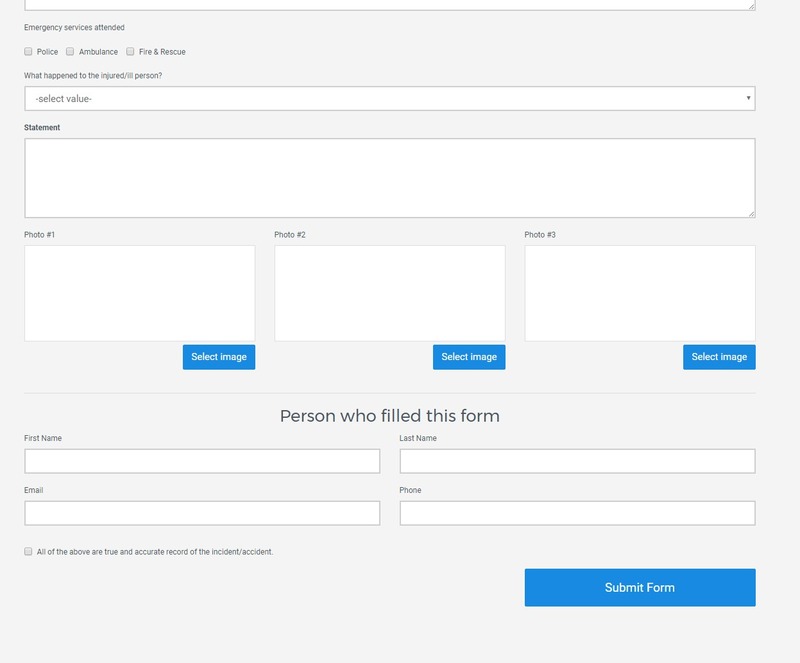 New blank incident form can be completed and submitted on any device (PC, laptop, tablet, smartphone) capable of internet connection. 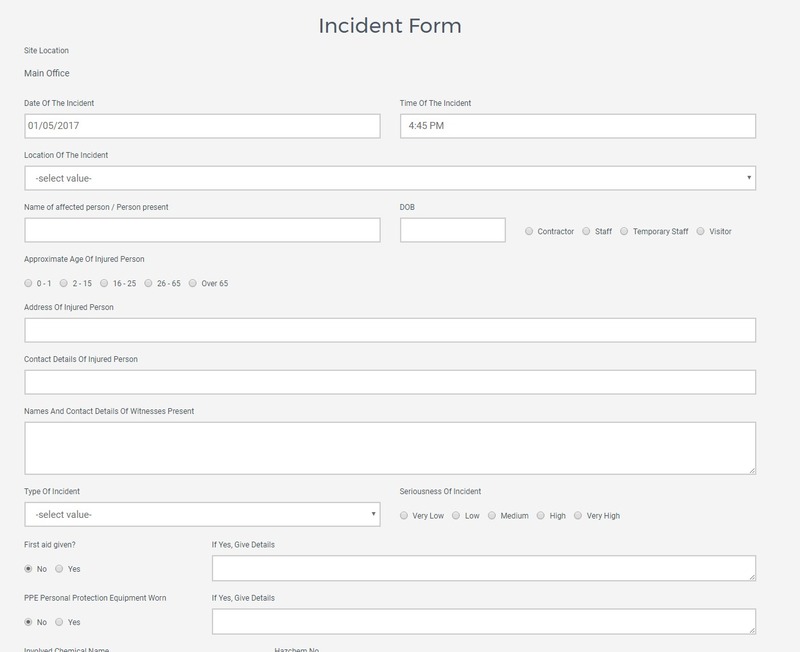 Certain fields of the incident form must be filled out in accordance with RIDDOR 2013. Without these details submission of the form would be unsuccessful. You will be able to choose which other details on the form are compulsory before the form submission. 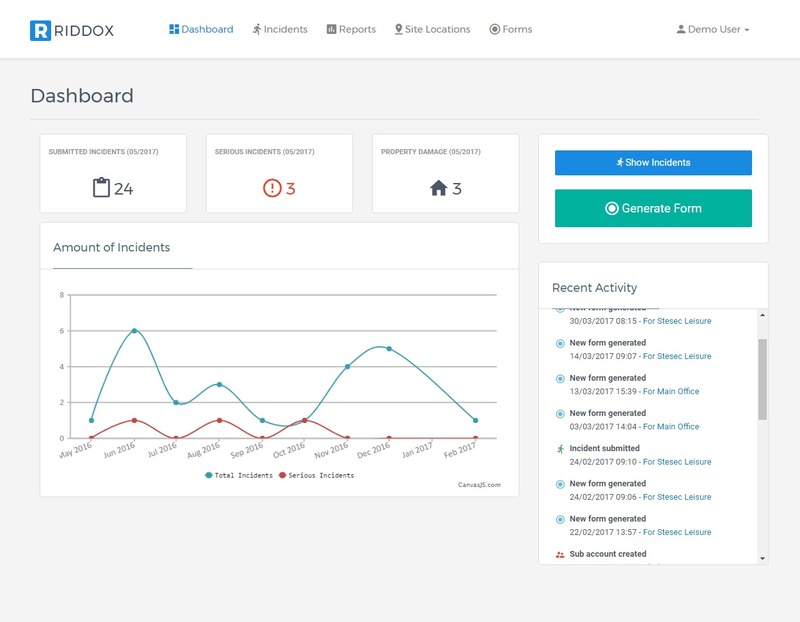 Upon the submission of the incident form all data will immediately be transfered into your Riddox.co.uk account ready for viewing by persons with relevant access permission. All submitted incidents can be viewed and assorted in any particular order. 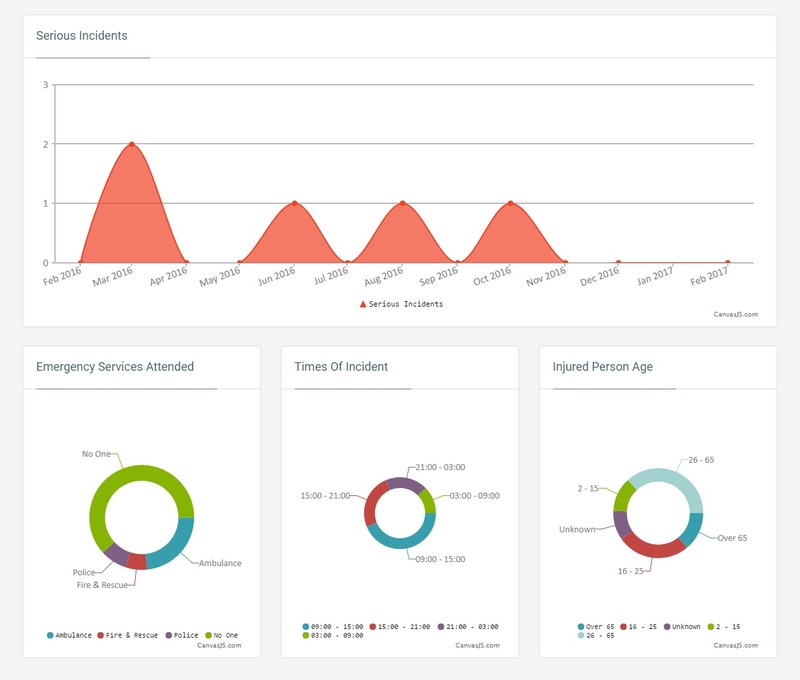 Each single submitted incident is assigned with its own specific incident number (SIN). 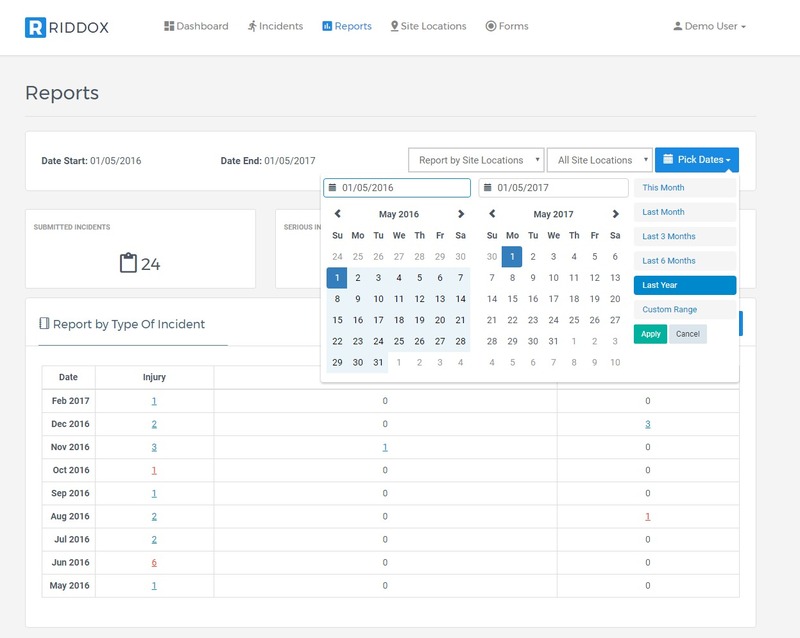 All incident reports, evaluations and analysis can be selected for time periods which are chosen by yourself. All of the reports are organised into various groups depending on the incident type and relevance. 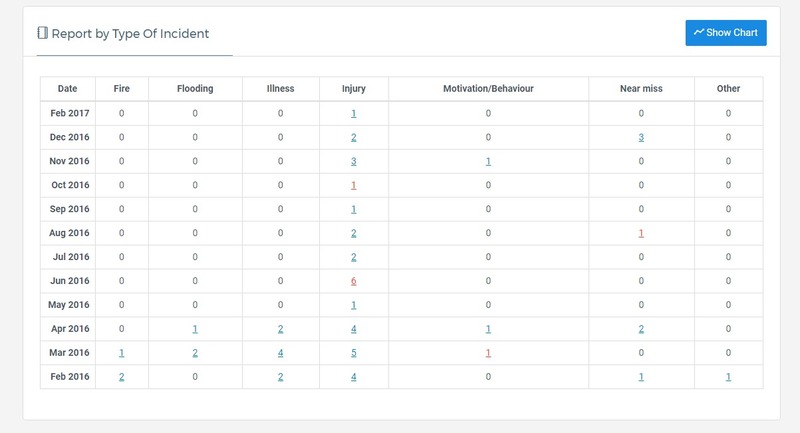 Select any of the fields in the report and you will be automatically redirected to those specific incident data in the new browser window. 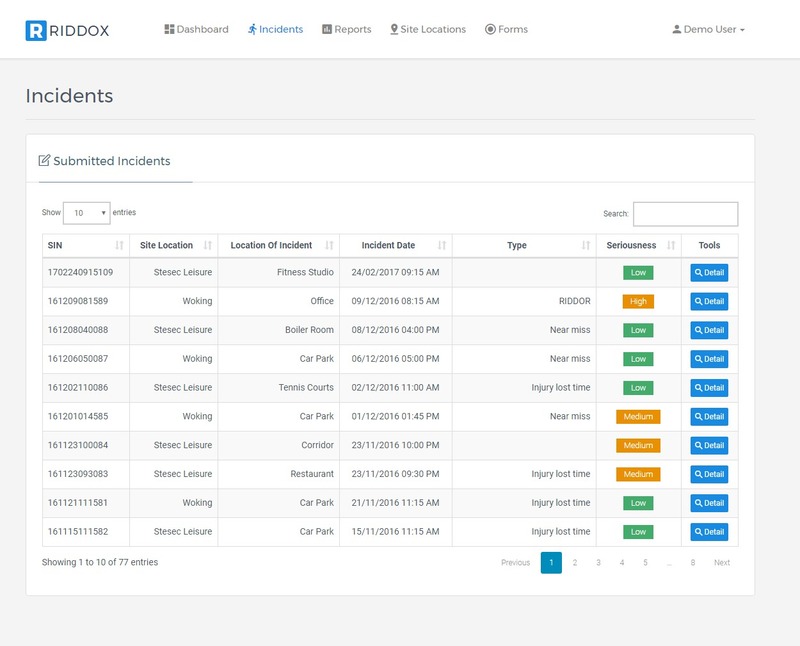 After viewing the requested incidents, you can easily return to your reports. Have as many or as few potential incident locations within your sites. 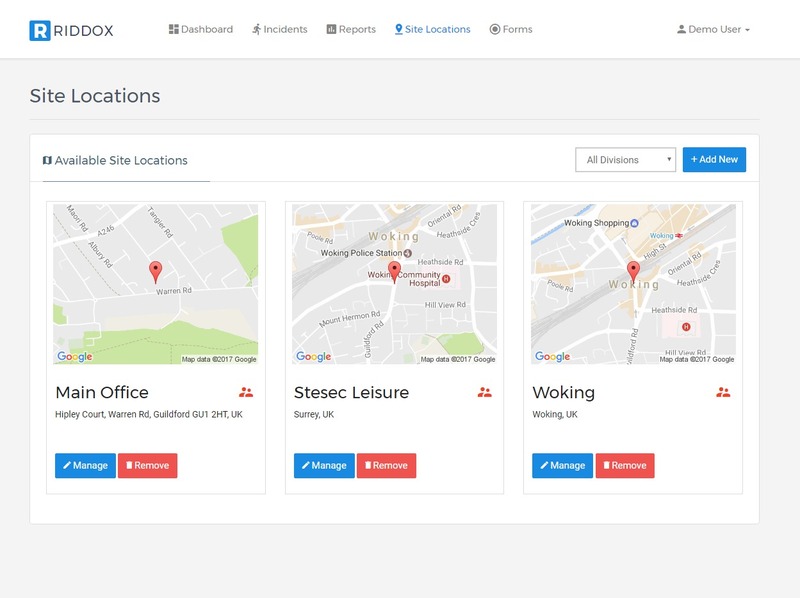 You can edit these accordingly at any time in “Site Locations” part of your Riddox.co.uk system. Easy to understand visual tools and statistics can help you make more informed choices and decisions in order to plan for the future.. Ideal during any presentation for management and the board, visual indicators of the current and past health and safety performance will always positively impact on your organization’s strategy moving forward.